Another collection has been released; can you keep up with Chanel? Well, I hope you’re prepared because we are spotting can’t-resist handbags that are absolutely to-die-for. For those that can’t live without flap bags, presenting the new CC Shoulder Bag with Tone-On-Tone Enamel CC Clasp. Please zoom-in again on the CC Clasp, this is the newest design (you see, not entirely gold or silver hardware). To be honest, I love it; it’s modern and chic. I do not know much detail about this clutch bag, but I AM FREAKING LOVING IT. It’s different than…you know… quilted, black, CC clasp and so on. Crafted from wool and calfskin, this bag is embellished with ‘what they call’..a Tabatiere Clasp. It’s a gorgeous piece of object to wear on your shoulder – like a vintage wallet. Four times a year, Céline treats us to a preview of what's up and coming from the brand's sought-after handbag line, and today is one of those days. The Céline Fall 2015 handbag lookbook (or Pre-Fall 2015, by more common taxonomy) has arrived, and it's full of both new shapes and returning favorites. You will see plenty of Luggage Totes and Trapeze Bags below, as well as the newer Belt Bag, but pretty, petite Tab Bag and Sangle, Seau and Sangle Seau bags all make their debuts. This line is full of less weirdness and more attractive, functional bags than Céline's previous few have been, and although I don't think there's a budding It Bag in its ranks, it's a solid line that should sell. What this lookbook lacks, for now, is pricing information. When and if that's released, we'll add it to this post. 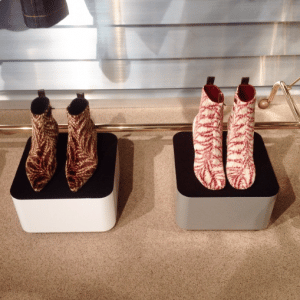 Introducing the preview of bags and shoes from the Louis Vuitton Fall/Winter 2015 Runway. 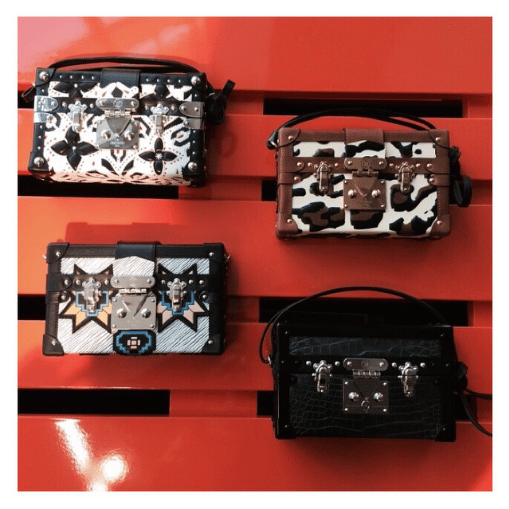 The collection presents new styles for the Petite Malle, Dora Totes and Twist Lock Bags. The Petite-Malle Trunks get the color treatment and appear with red, blue and yellow leather edges. The Dora Tote is available more pastel colors in light pink and daffodil, it will also include an all leather piece that has a quilted look. The Twist Lock flaps appear in various patterns that also appeared on the runway. 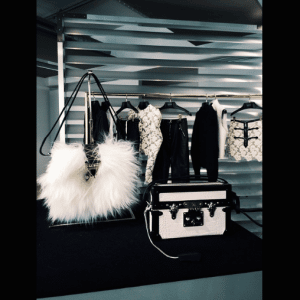 This past season Nicolas Ghesquière also introduced a new mini trunk that was featured on the runway featuring lux styling and custom monograms. More information is updated as it becomes available, for Pre-fall 2015 see here.